NXT last night was a decent episode I expected a better show it didn’t even feature the NXT Champion Bobby Roode, I will provide a brief recap as well as the results. 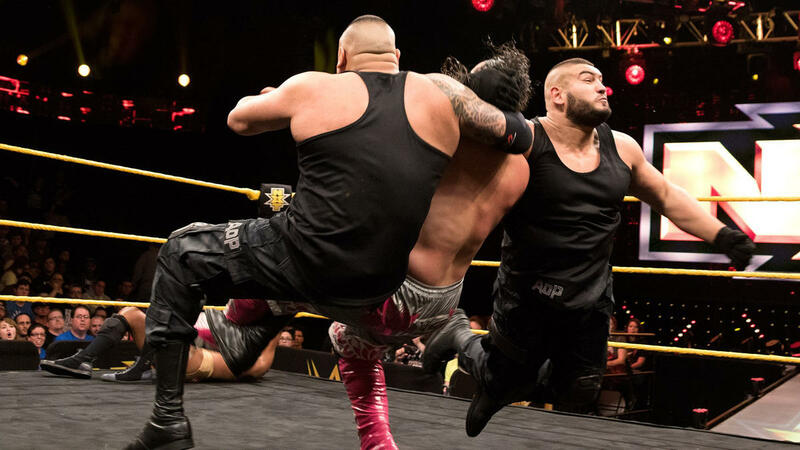 The Authors of Pain made quick of their opponents Garriston Spears and Lance Anoa’i. Akam and Rezar hit the Last Chapter and it was over. After the match the Authors of Pain with their Super Collider which is a devastating Powerbomb. Last week, after Liv Morgan, defeated Billie Kay in singles action. Therefore Billie Kay and Peyton Royce demanded a match against the to get revenge. General Manager William Regal granted the duo wish but it was a tag team match instead against a partner of Morgan’s choosing. Morgan arrived with Ember Moon which made it a competition. However, tag team experience seemed to be the difference, as Kay and Royce managed to isolated Morgan long enough and they got a three-count. After the match, Regal announced that next week, Morgan, Royce and Moon will battle in a Triple Threat Match to determine NXT Women’s Champion Asuka’s new No. 1 contender. DIY addressed the NXT fans at Full Sail University for the first since they lost their NXT Tag Team Titles to The Authors Of Pain. Johnny Gargano and Tommaso Ciampa demanded their guaranteed rematch for the NXT Championship. Then Paul Ellering told Gargano and Ciampa will get their rematch in two weeks. The Revival sent a message to DIY with a sneak attack from behind. 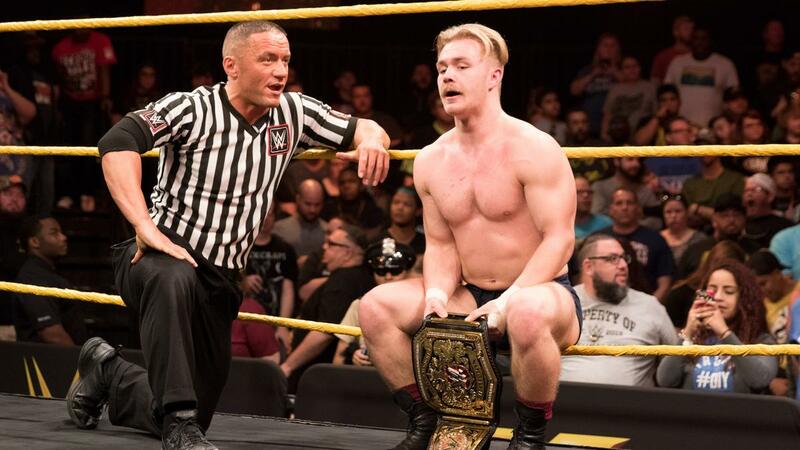 It was historic because WWE United Kingdom Champion Tyler Bate defended his title for the first time. A little backstory on the two wrestlers they were tag team partners and friends. The beginning of the match both played with each other’s mustaches. The mood of the match changed when Bate`s connected with multiple uppercuts to Seven. Then Seven took Bate`s head off as he nailed his Seven Stars Lariat only for a close near fall. 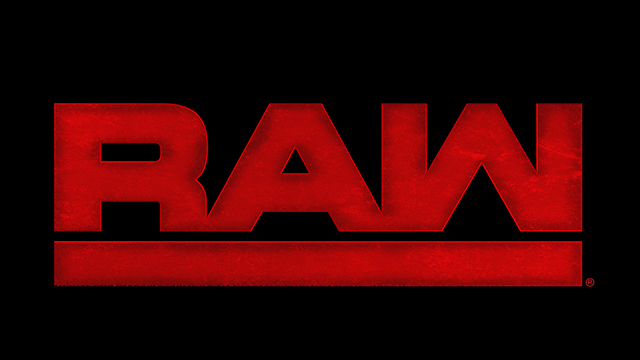 Bate, however, showed the heart of a champion, withstanding all of the punishment and Bate hit the Tyler Driver ’97 to retain his UK Championship. Should Dave Bautista headline WWE’s Hall of Fame Class of 2019?